Beginning with Palm Sunday this coming Sunday, Good Shepherd and many other Churches around the world will begin a journey of worship that is called Holy Week. During Holy Week, the life of the Church goes into slow-motion so that we can get a good look at what Jesus did to redeem us. And really, we do more than "look" during this week: we actually follow Jesus's footsteps in this last week of ministry, step by step tracing what he did. Our gatherings during Holy Week will look different than any other time of the year. This is intentional. The idea is to have them stick out in our mind, in our memory. During this week we will do things we normally wouldn't do as a Church: we will act out the triumphal entry and waves palm branches around and we will wash each other's feet. This may all seem a bit weird. That is intentional. The oddness of it will imprint the event on your soul. Our meetings will be punctuated with silence. We will leave our meetings in silence and enter our meetings in silence for most of the week. This will be uncomfortable. That is intentional as well. Silence is a nothingness that leaves a mark. The whole point of every action we take this week, every word we say and hear, and every moment of quiet is to teach us the deep and awesome truth of Jesus's redemption. Holy Week is teaching us the gospel. To say it another way: during Holy Week, we are reminded what makes us Christians and what being a Christian is all about. Palm Sunday: Palm Sunday marks Jesus's triumphant entry into Jerusalem. It is called the "triumphal entry" because it was the way he announced that he is God's King coming back to God's city. 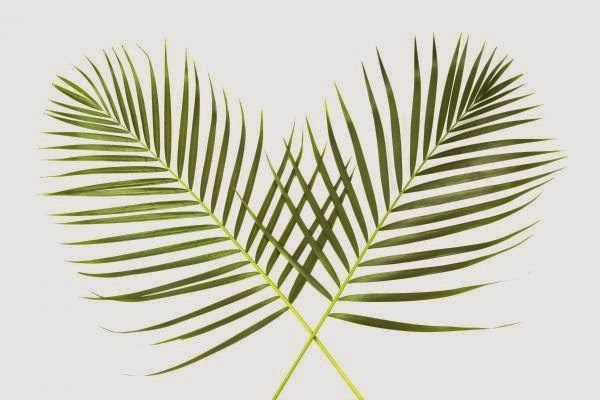 But, in addition to this emphasis, Palm Sunday acts as a preview of what is about to happen during the week, namely, the betrayal of Jesus and his crucifixion. So, Palm Sunday is a "schizophrenic" service: it starts out jubilant as we celebrate Jesus as the King of Kings, and it ends in silence as we remember his betrayal and his Passion (By the way, the word "passion," as in, "Passion of the Christ," comes from Greek word for "suffering." So when we speak of Christ's Passion, we are speaking of his suffering.) 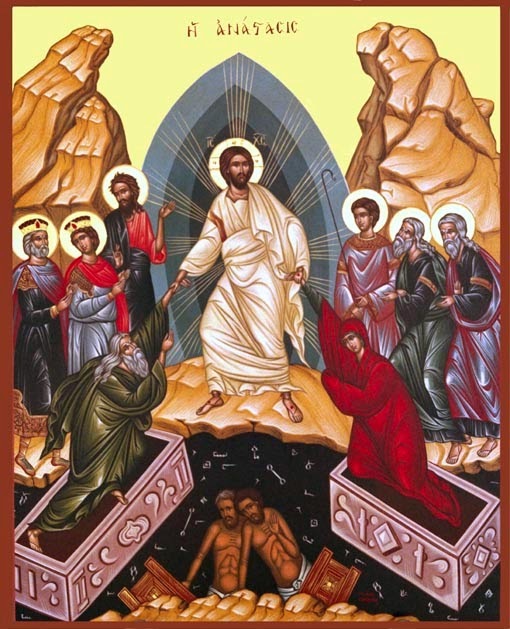 In the service we literally enter into this schizophrenia by acting out what the people did during that week: they welcomed Jesus joyfully on Sunday and then they crucified him on Friday. And so, at the beginning of the service we will joyfully wave palm branches and praise God like they did. But then, as we continue in the service, we will also speak with our own mouths the very words they yelled later that week, "Crucify him! Crucify him!" This mimicry is a recognition that because of our sin, we too are guilty of the crucifixion of Christ. We are reminded of this truth when we take Communion on Palm Sunday, and then in the silence that marks the end of the service, we are called to contemplate the meaning of all this as we go deeper into the gospel during the rest of the week. During the Week: There are a few simple ways you can continue the "slow-motion" view of Jesus's work during the week. There are very short prayers that have been written for each day during Holy Week (e.g. A Prayer for Monday during Holy Week, a Prayer for Tuesday). When Sarah Jane and I first went through Holy Week, we sat in bed at night and prayed these prayers out loud before we turned off the lights. We found it extremely helpful. These prayers are found in the 1979 Book of Common Prayer on pages 219-222 or you can click here to see them. Maundy Thursday: In this service we walk through in the steps of Christ and the disciples during the Last Supper and the night Jesus was betrayed. The theme of the service is God's sacrificial love and the two signs of this love are the washing of the feet and the Lord's Supper. It is called Maundy Thursday because we celebrate the mandate ("maundatum" in Latin) given by Jesus to "love one another" and "do this in remembrance of me." This is all from John 13. In this passage Jesus gives these commands and then shows them what love is by washing their feet (an incredibly humbling act... especially in that day!) and pointing them to the cross through the Lord's Supper. We will "act out" both of these signs as well: washing each other's feet and taking the same meal they did. Let me encourage you to participate despite the weirdness of it: you will not regret it. The night starts in a somewhat (but restrained) celebratory mood. However, the sobering reality of what love requires in the fallen world (i.e. sacrifice) comes to light .. after the Lord's Supper, we remember that Jesus was betrayed and went to die for us. He was taken into custody by the officials that night. And so, after the post-communion prayer, rather than the normal blessing and processional hymn, we kneel as all the signs of Christ are removed from our presence. Every symbol that points to Jesus will be removed from the sanctuary. So, as you see the clergy remove their stoles, the communion chalice, the cross, keep in mind that Jesus was taken away for you and for me. 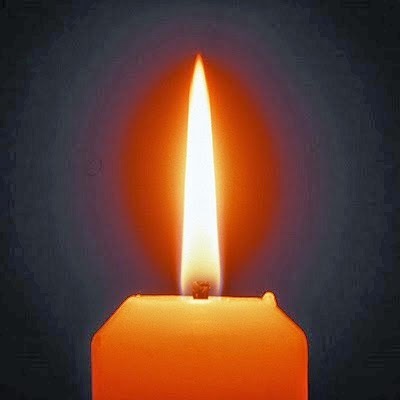 These symbols are taken away in silence and the service ends in silence, and we all exit in silence. So, the mood with which we start Maundy Thursday and the mood on which we end are completely different... though related. Love is a joy and a blessing, but in a fallen world, love is also a cross. Good Friday: This is the most solemn service of the Christian year. During Good Friday we remember that Love Himself was killed on our behalf, that He died the death we were meant to die. 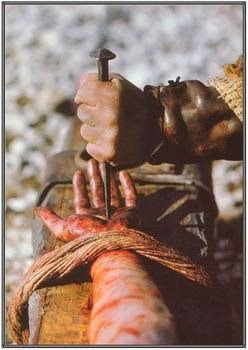 Jesus suffered horribly for us and for the sins of the whole world: not only in physical torture on the cross, but also in a spiritual sense of which we know little. This service begins and ends in silence. The room will be dark, so please enter carefully and quietly. Again in this service we read the story of Jesus's suffering, putting in our own mouths the words of those who denied Him and crucified him: "I am not his disciple" and "Crucify him!" This service includes what is called "the Veneration of the Cross." During this time, our deacon will bring the cross in and lay it on the altar. Everyone is invited to come as they will to kneel before this symbol of Christ's suffering and work of redemption in order to confess sins to Him, to contemplate what He did for us, or simply to offer thanks. The service ends in silence as well. Let me encourage you to embrace the great amount of quiet we will experience during this service. For sure there may be noisy distractions that interrupt us, but even these can be reminders that this fallen world is always breaking in, no stillness and peace is completely possible... that's what the Prince of Peace died to regain.